Fracking is grossly unprofitable: the fracking industry is losing hundreds of millions of dollars, but it claims to be profitable and august publications like the Wall Street Journal and Reuters repeat these claims as though they were true. How can this be? Partly, it's by cherry-picking which fracking sites the industry analyzes: some sites are designated as "low break-even," able to be quickly profitable because of their favorable locations and other factors. 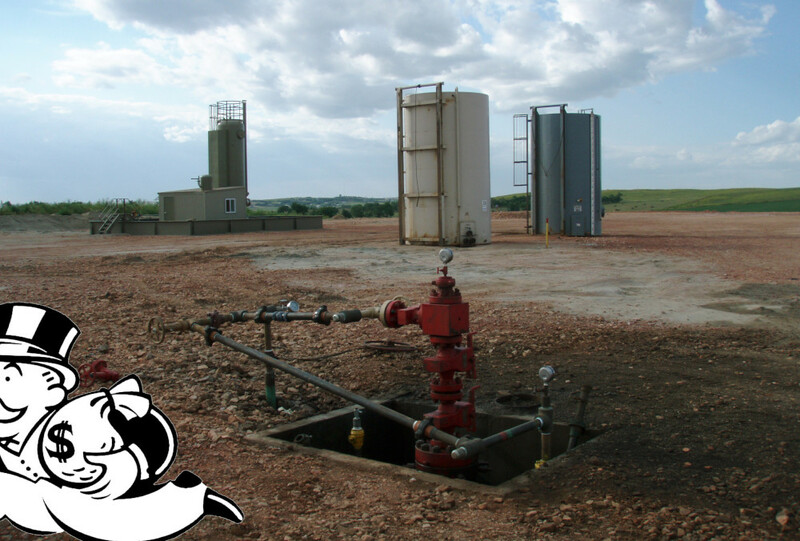 The industry likes to average out the expected returns from only getting gas from these "low break-evens," as though all their sites were ideal. But even low break-evens aren't profitable! The calculations on break-evens "exclude such key costs as land, overhead and even at times transportation." Partly, it's by pretending that oil costs a lot more than it does. Companies (and the press) describe their earnings in terms of what they'd make if crude hit a "benchmark price" like $70/barrel (it's $40 today). They're basically saying, "If our product was worth more, we'd be profitable, so we're calling ourselves profitable." Despite nine consecutive years of industry-wide unprofitability, the industry is increasing its output, thanks to loans from Wall Street, who are making a bet that they'll be able to make enough from fees, loan servicing payments and bankruptcy liquidations to make up for the fact that most of these loans will end in default.